The boot process of Ubuntu MATE 16.04 is not very different from any other flavour of Ubuntu released recently. You only have one option during the boot sequence, and that is a choice between the Live run and the installation. Of course, my choice was for the Live run. The boot process itself took quite a long time actually. I did not measure it by stopwatch, but subjectively Ubuntu MATE takes more time to boot than Ubuntu itself. Eventually you land on the default desktop of Ubuntu MATE 16.04 Live. Once booted, you have a desktop with wallpaper in green and deep-blue tones. There is an Ubuntu MATE logo in the centre of the wallpaper. If you don't like this wallpaper, you can change it to a different picture. You have several dozen images out of the box, though many of them are Ubuntu- or MATE-themed. There are two icons in the top left corner of the screen: home directory and Install. The welcome screen also has a single "Welcome" window that offers you a tour through the operating system and its features. There are two panels in the default system configuration: one at the top and one at the bottom. You can remove them or add more panels if you wish. The bottom panel has a "Show desktop" button in the left corner, a switch between four virtual desktops and a recycling bin in the right corner. The rest of the space on that panel is taken by the buttons for open applications. Each virtual desktop has its own set of application buttons. 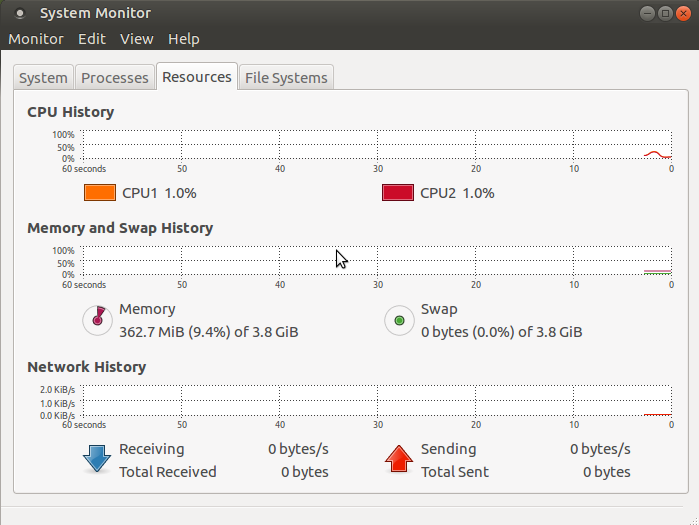 The top panel has three menus in the left part: Applications, Places and System, like it was in "good ol'" GNOME 2. There is also a quick launch icon for the Firefox browser next to those menu areas. The right part of the panel is for the notification area. You can find usual items there: battery and volume indicators, network monitor, clocks with calendar and a Shutdown button. If you don't like the GNOME 2 "classic" three-item menu, you can remove it from the panel and add the "MATE menu" instead. That will give you an opportunity to convert the system view to what is used by many other operating systems. I tried to play with some of the elements on the panel, moving them around and adding other elements. Unfortunately, it led to some crash errors that spoiled my impression of this operating system. 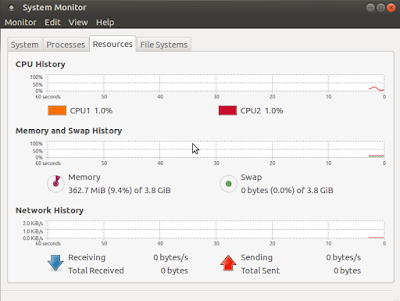 The freshly booted Ubuntu MATE 16.04 operating system took about 360 Mb of memory. That is more than Xubuntu 16.04 but much-much less than CentOS 7 KDE that I tried recently. As you can guess, the Ubuntu 16.04 family of operating systems does not have any issues with the wireless network card of my laptop: Realtek 8191 SEvB. MATE edition is not an exception here. Connecting to my home wireless network was a breeze. Select the network name from the list, type in the password, and off we go! It is still applicable for Ubuntu MATE 16.04. Once you set more than one layout in the list, the notification area gets an indicator of the current layout. Caja 1.12.7 is the default file manager in Ubuntu MATE 16.04. It has an option to browse the network. I used that feature to locate and browse the shared network drive that I have. Unlike my recent Xubuntu 16.04 experience, I could open LibreOffice files from the partition mounted via Caja. At least, it worked in the Live run. Ubuntu 16.04 MATE comes with a small, but not barebones set of applications. Firefox 45 is the default and the only browser. Other Internet tools of Ubuntu 16.04 MATE include Pidgin messenger, Thunderbird email client and Transmission torrent client. LibreOffice 5.1.2.2 comes with Ubuntu 16.04 MATE by default. It includes Impress, Draw, Writer and Calc applications. Atril document viewer and MATE Dictionary complete the set of productivity tools. Graphic tools are represented by image viewer, Simple Scan tool, Shotwell and Colour Selection utility. There is no graphics editor in the default set of applications of Ubuntu 16.04 MATE. Multimedia tools of this operating system include Brasero disk burning and Cheese webcam utilities, Rhythmbox and VLC players and sound controls. I have not found any games, development or educational tools in the Ubuntu 16.04 MATE default system. Of course, there are plenty of small utilities and system accessories like Caja file manager, calculator, Pluma text editor, screenshot utility, Plank dock, Synapse search utility, terminal, Avahi zeroconf browser and some more. As I mentioned above, Ubuntu MATE 16.04 sports two multimedia players: VLC and Rhythmbox. Having VLC in your system means you have no issues with playing the majority of multimedia file formats on your computer. I was able to play the MP3 files from my network attached partition without any issues. I was also able to play videos from YouTube. Unfortunately, Flash was not installed in the Firefox. It means you cannot watch videos on sites that require this tool including the BBC iPlayer. Who is the main audience of Ubuntu 16.04 MATE? From my point of view, these are people who started their Linux life a long time ago when GNOME 2 was one of few desktop environments available for Linux distributions. Since then, we have gotten a lot more players and forks on the "market". 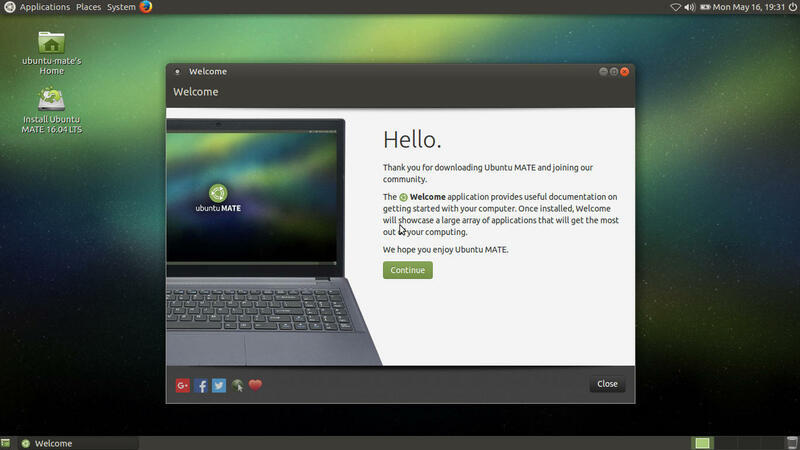 Will I try Ubuntu MATE sometime in the future? Maybe. Let's see where history takes us. I've been testing Ubuntu Mate 16.04.1 for a few weeks now on my Toshiba L305 and love it. Had no issues with hardware or networking. Wireless also worked as well. I had to install restricted codecs for the type of video and audio I watch/listen to. Noticed battery life is great. A lot better than Mint 17.3 -- Fire Fox web browser was slow and choppy, so switched to chromium and what a huge difference. No lag and flash content was much smoother. I had to open a terminal and force it to sleep in order to stop the high CPU. Closing this process is not good as I noticed non of my USB devices and partitions wouldn't open. So just forcing it to sleep is better. From what I read, this is a known bug that is being looked into. Other then that, love this Ubuntu-MATE 16.04.1 LTS. I have used Ubuntu,Gnome,UBUNTU gnome,UBUNTU-Mate,openSUSE,Debian,Linux Mint,PupyLinux,Arch Linux,Kubuntu,Bodhi Linux, and to my opinion UBUNTU-MATE is the easiest to set up and use out of the box. I always have problems with the Graphic Drivers. Ubuntu Installed with no problem, but was to taxing for my PC. Ubuntu-Mate no problem at all. I can listen to music while I burn Movies, and surf the net at the same time. My system does not freeze like some of the others distro's do. The customization possibilities are great. I just do not like the green. But that is easy to fix with the themes you can install. UBUNTU-Mate is installed and burning Movies in an afternoon.I love Linux UBUNTU-Mate! So does my wife and thats what counts if I am going to eat. Keep her happy! Been using Mate 16.04 since it came out on two upgraded Dell e1505 now 64bit, I have it on an upstairs and a downstairs laptop one having a SSD in it. This disto for me is perfect and I have had no problems. It just plain works for me without hassle. Great that it's well working for you. Different people, different styles, different likes, different workflows.